Run a full-featured online store without knowing any programming whatsoever, using the powerful FREE version of osCommerce developed by Chain Reaction Web called CRE Loaded 6.1 Version of osCommerce. 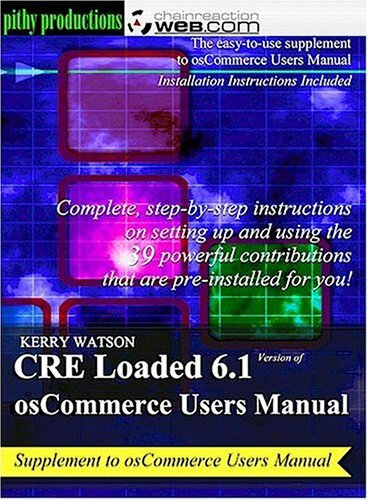 This users manual is a complete, step-by-step guide to setting up and using the 39 powerful contributions that are PRE-INSTALLED AND TESTED FOR YOU in this popular and FREE new CRE Loaded 6.1 Version of osCommerce. Why struggle to incorporate and debug a few contributions when you can have everything pre-installed and tested for you? Note: this book covers only the special features (or “contributions”) that are not part of the basic osCommerce program. For a user’s guide to the basic features of osCommerce, see the osCommerce Users Manual. 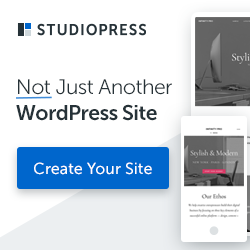 Non-technical store owners with little or no web experience, OR programmers or web designers who want to turn out osCommerce stores quickly and smartly, and have your non-technical clients maintain them with a minimum of hassle. 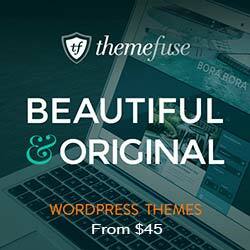 Sell your products and pay commissions with Affiliate Program and much more; this list has only twenty-one of the 39 special features included.